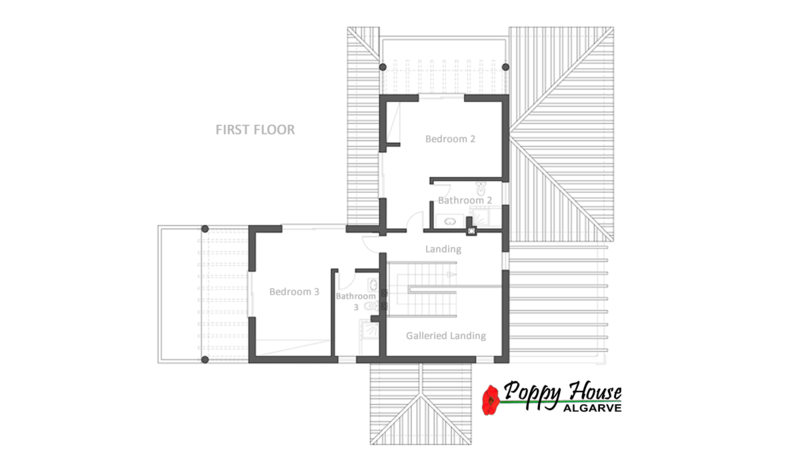 Designed as a luxury home, Poppy House is a recently completed detached property within a secluded yet not isolated rural valley, with sea views and 5 minutes by car to a well equipped town with miles of sandy beaches. Electrically operated entrance gates lead you over a traditional cobbled driveway to a carport and parking for at least 4 cars, plus turning area. The house will delight your senses with leather sofas, custom made kitchen, handmade dining table, original art work, privately commissioned feature stained glass window, air-conditioning, ceiling fans, electric blinds, and double glazed windows with mosquito frames. Outside there are various terraces and sunny and shaded seating areas, a secluded BBQ area and a heated salt water pool. 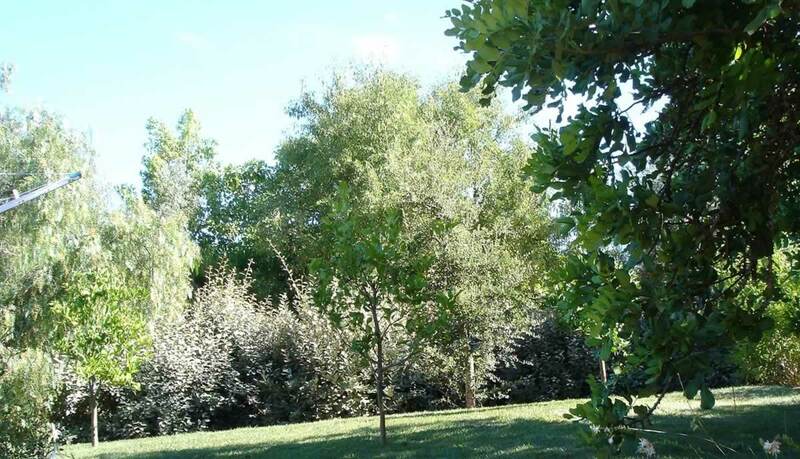 Enjoy 1820 sq metres of fully fenced stunning landscaped gardens, planted to encourage local wildlife and boasting many mature trees. 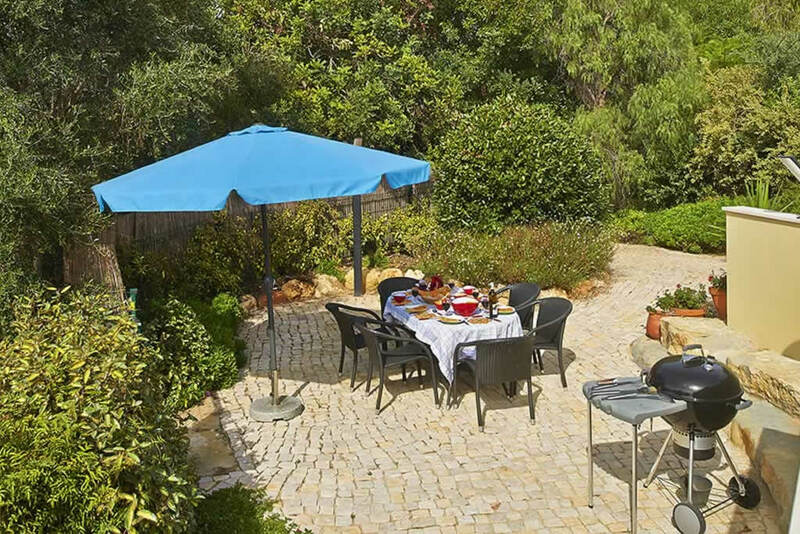 Wake up to the sound of bird song and enjoy breakfast under the shade of the carob bean trees on one of the sunny terraces, with the blue Atlantic ocean sparkling in the distance. 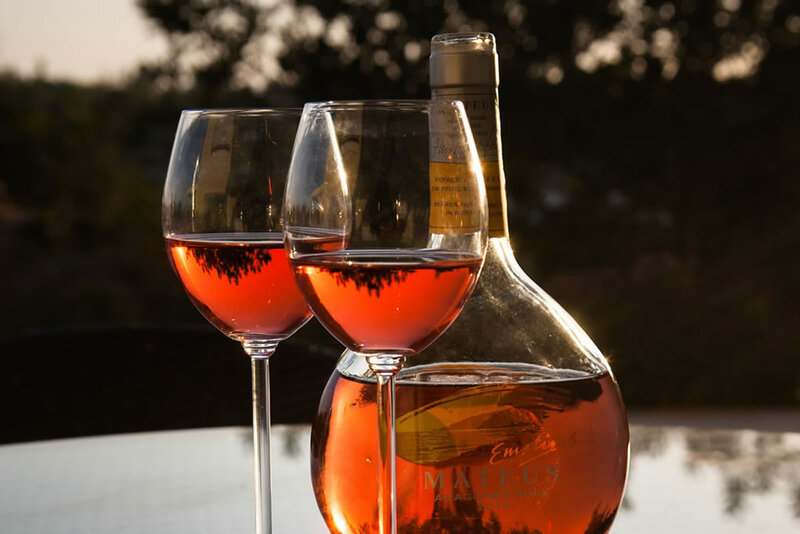 Picnic or barbeque by the pool at lunch time - and watch the vivid sunsets whilst enjoying some excellent Portuguese wine. Do as much or as little as you want in complete tranquility and comfort. “Villa Papoila, 5* Accomodation and 5* Hospitality” An outstanding and stunning house in the most beautiful location. Daphne was there to greet us on arrival and was available at any time for advice and guidance on the best places to eat and visit whilst we were on holiday. 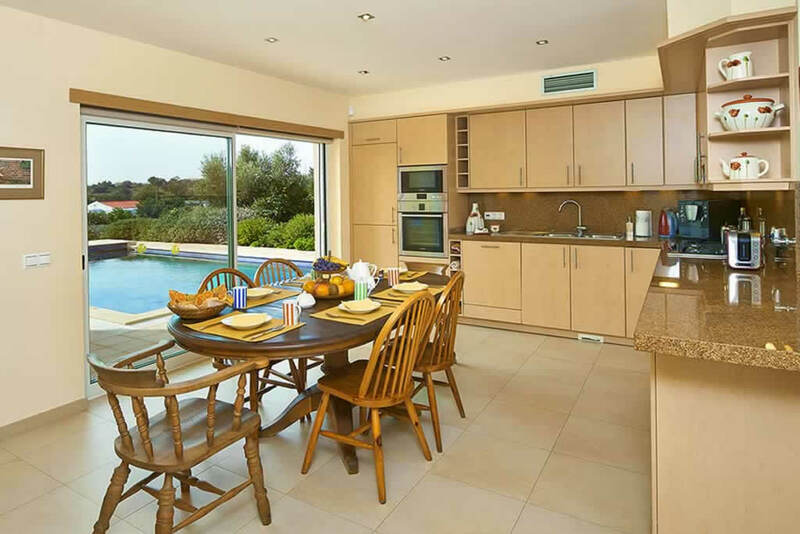 We were amazed at the quality and finish of the house, with granite kitchen and marble stairs, a fantastic heated pool with superb views, BBQ area with dining table and chairs. 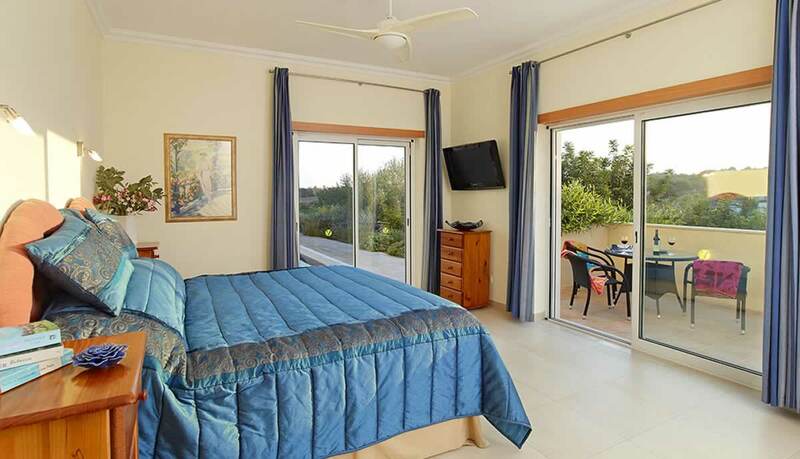 The bedrooms were very spacious with stunning views and modern en suite to each room allowing privacy when travelling with friends/group. The cozy woodburner makes this an all year round property. Please hire a car and travel a couple of kilometres to the fantastic beaches at Armacao de pera or Gale and the many wonderful restaurants. Alternatively there are several good value supermarkets close by for self catering. Thank you Daphne & Keith for your excellent hospitality and giving us such a memorable holiday! 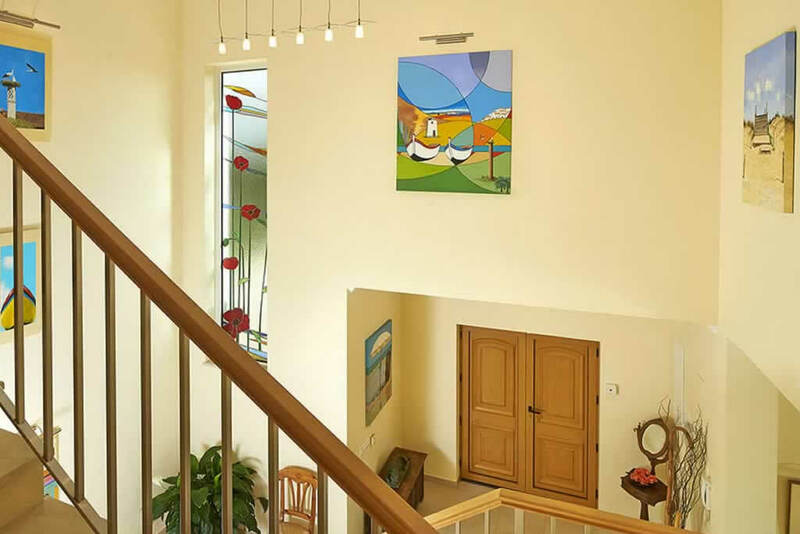 Huge galleried entrance hall, with original art and a specially commissioned stained glass, double height, poppy window. Large landing with seating area for quiet moments. Spacious open plan living room with wood burning fire, quality leather reclining sofas, unlimited high speed fibre Wifi, a quiet dedicated work space for study/laptop, with luxury computer chair, Samsung flat screen satellite HD TV, Blue-ray DVD and CD player, Playstation 3, large selection of DVDs, Playstation 3 games and books for all ages. Remote controlled ceiling fan, A/C unit. 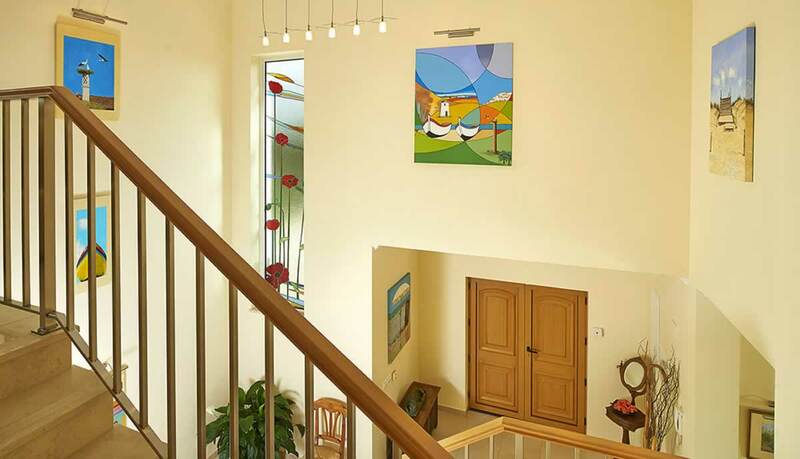 Triple aspect windows, leading to the terraces and the swimming pool. Bespoke kitchen with granite worktops. Built-in electric oven and microwave, separate gas hob. Built-in fridge/freezer. Built-in dishwasher. Bosch coffee machine. Large custom made solid wood dining table, seating six. Electric built-in dustpan. Plenty of fitted cupboards & drawers stocked with cooking equipment, utensils, crockery, cutlery and glasses. 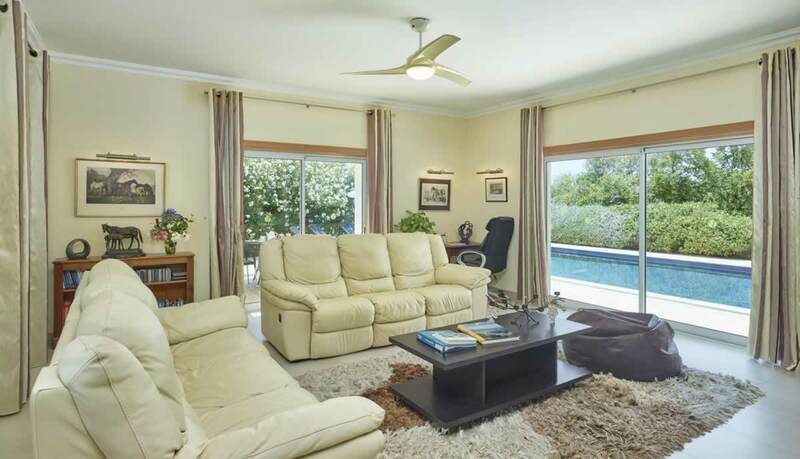 Large patio doors, leading to the terraces and the swimming pool. 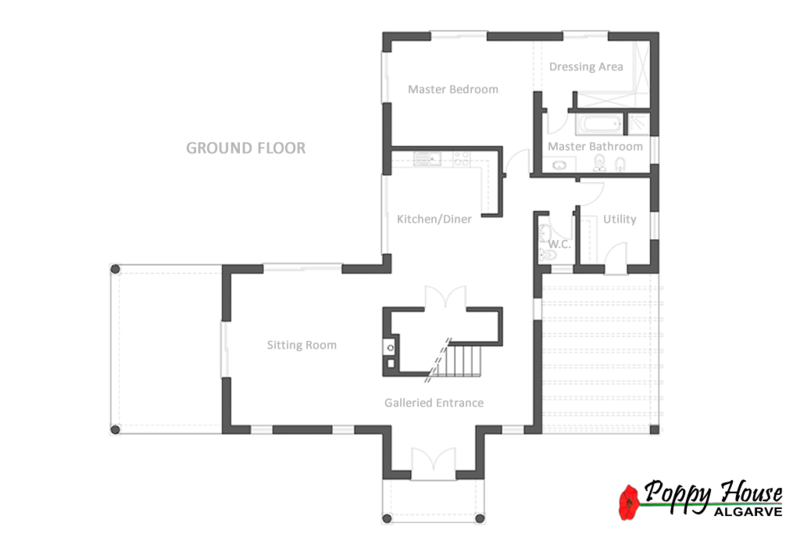 Large utility room with fitted cupboards for storage, sink, washing machine, iron, ironing board, clothes airer, attachments for central vacuum system, portable kitchen steps and door to carport. Master bedroom, Super-king bed. TV. Ceiling fan. Dressing area, with safe. 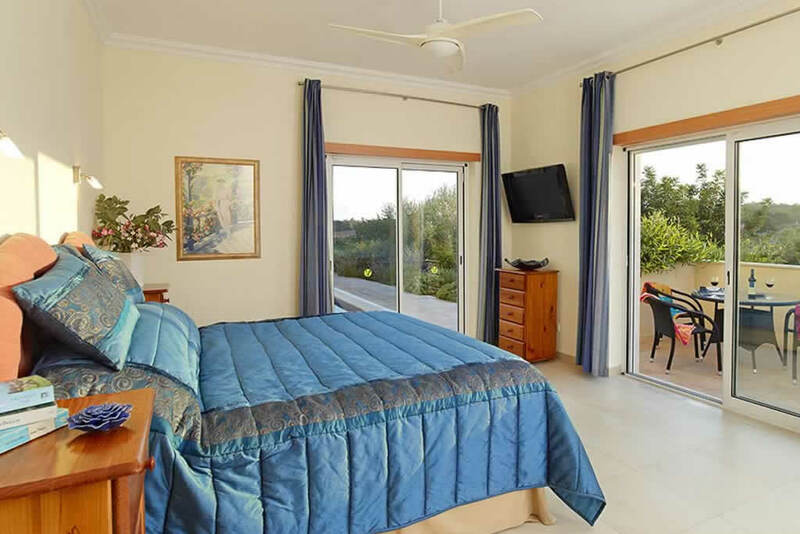 3 large patio windows leading to 2 large terraces and pool. Hairdryer, heated tongs and staighteners. Bedroom 2 with super-king bed or twins. 2 large windows leaning to a large terrace with sea and mountain views. Hairdryer, heated tongs and staighteners. Bedroom 3 with super-king bed or twins. 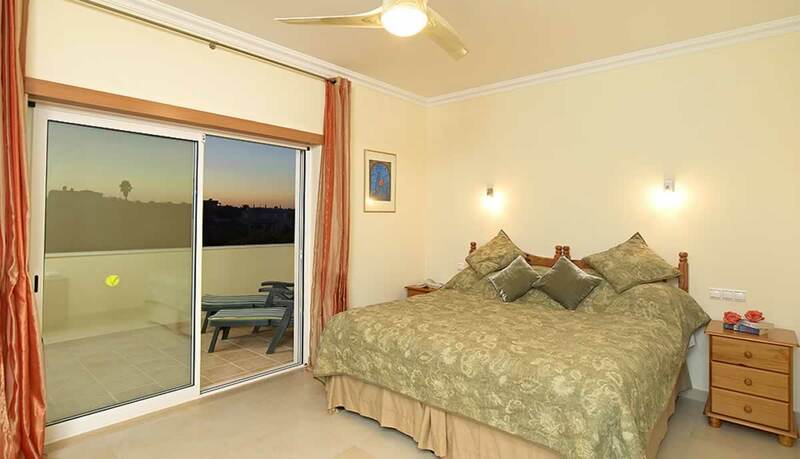 2 patio windows to 2 Juliet balconies with sea views. Hairdryer, heated tongs and staighteners. All windows in the house have security locks for children. 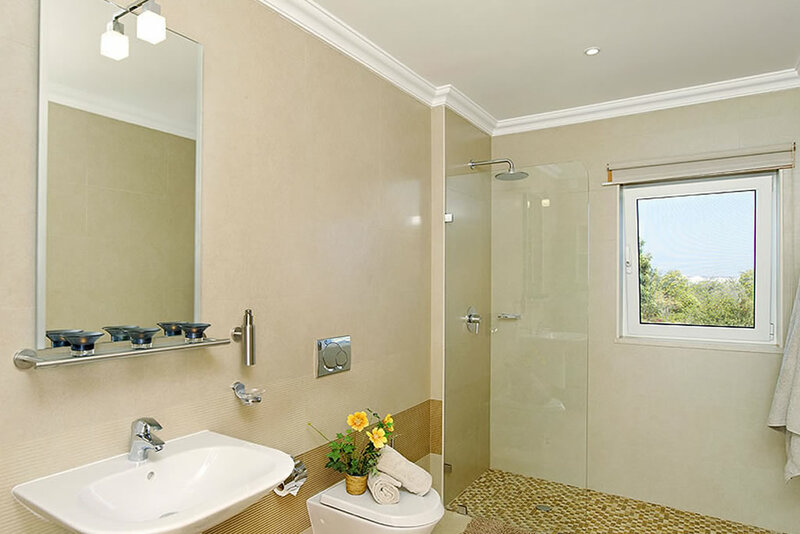 Master en-suite with bath/overhead shower, separate walk-in rain shower, toilet, bidet and washbasin. 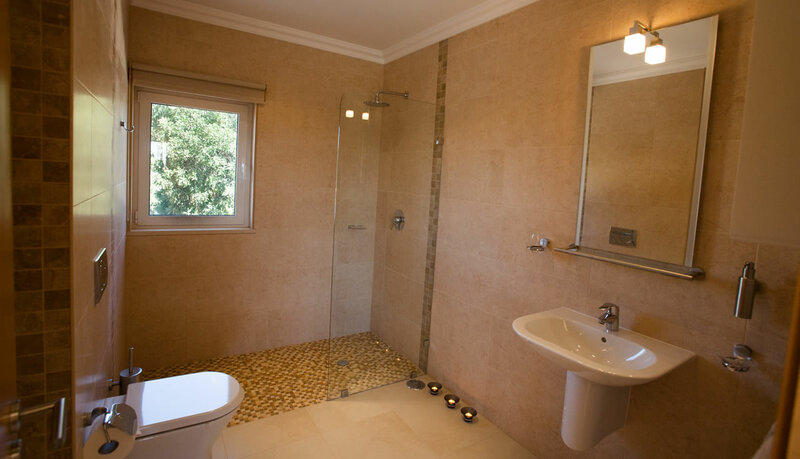 Bedroom 2 en-suite with walk-in rain shower, toilet and washbasin. 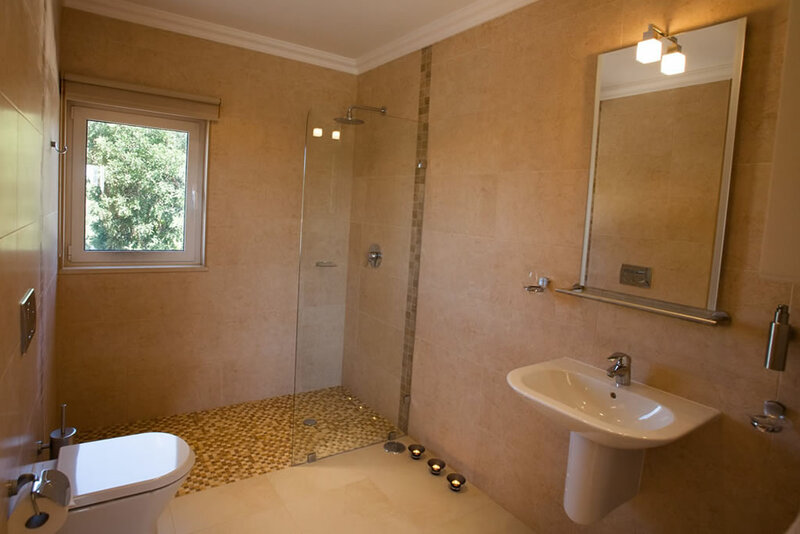 Bedroom 3 en-suite with walk-in rain shower, toilet and washbasin. 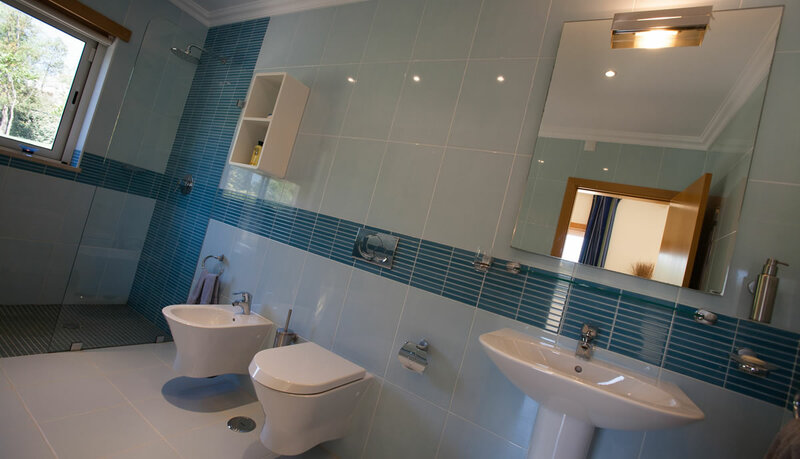 Downstairs toilet and washbasin. All linen and towels (including beach towels) are provided. Towels will be changed mid week and linen once a week during your stay. Central heating, air conditioning, ceiling fans, cot, cot bedding and safety pillows, baby listener, night lights, high chair, booster seats, pots, training seat, steps, stair gate, safety sides for single beds, secluded, romantically lit barbecue area with genuine charcoal Weber BBQ, shaded and sunny terraces, garden and pool lighting, private pool, pool heating (at extra cost), quality French table tennis table situated under a cool shade sail. 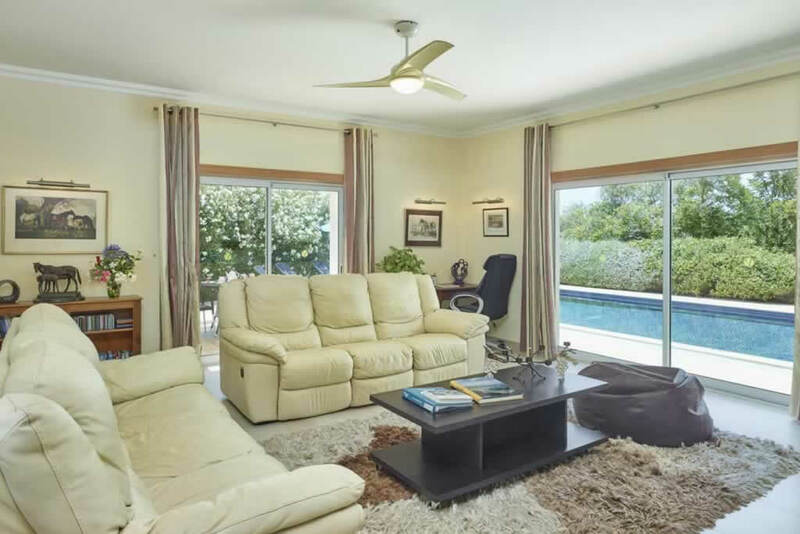 Ceiling fans and electric air-conditioning throughout. Double glazed windows with mosquito frames. Electrically operated blinds. 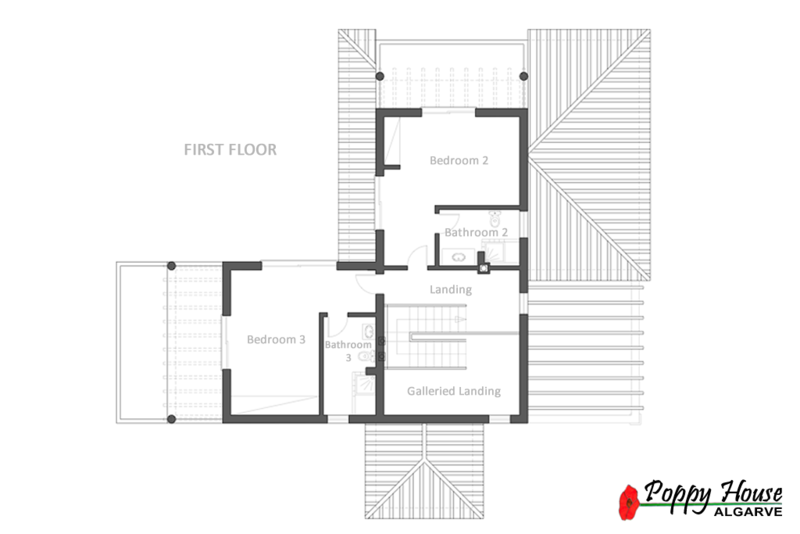 Double front doors with easy access to the ground floor. 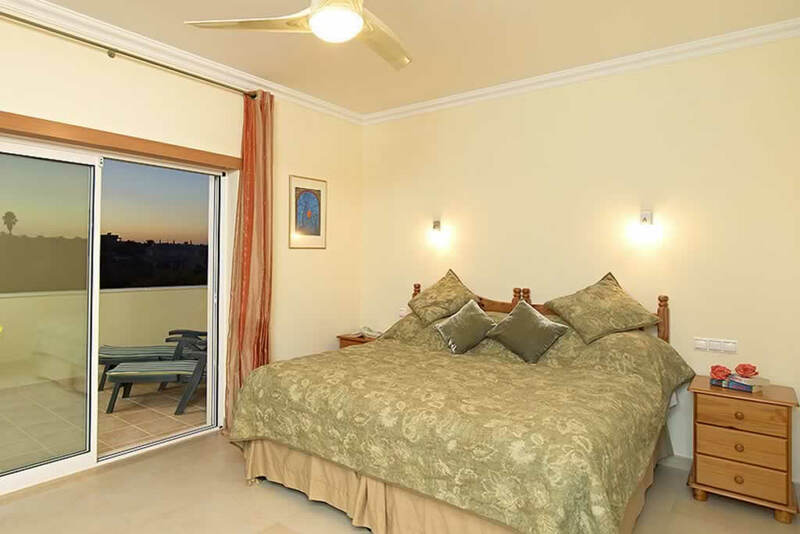 The master en-suite bedroom, with dressing area, is situated on the ground floor, with wide patio window access to the pool area and surrounding terraces. My bed was really comfortable and I spent ages in the pool. I also played with the little doll that makes noises. (She is very cute.) I really miss staying here. It was a lovely time. I am sad to leave the pool behind. Electrically operated entrance gates to traditional cobbled driveway. Carport and parking for at least 4 cars, plus turning area. 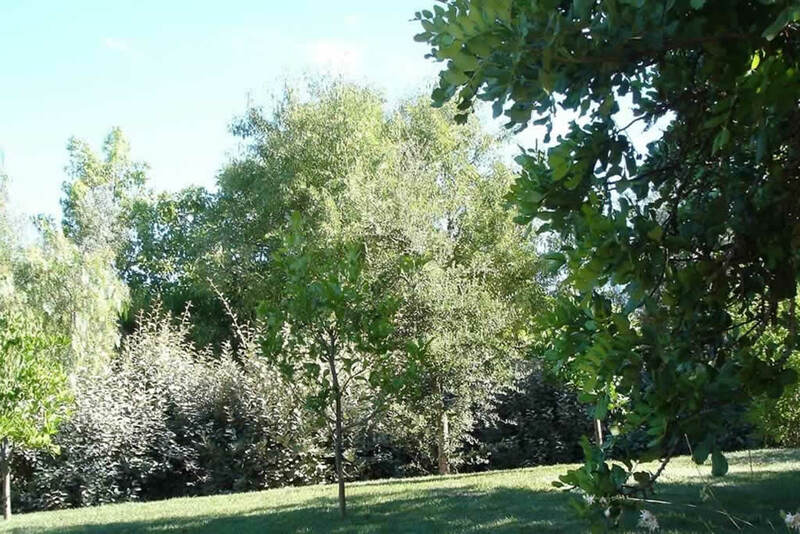 1820 sq metres of fully fenced stunning landscaped gardens, planted to encourage local wildlife and boasting many mature trees. Secluded and shaded garden areas, with various seating. Heated, saltwater pool (5mx9m) with shallow and deep ends, steps and electrically operated, rigid child-safety cover. 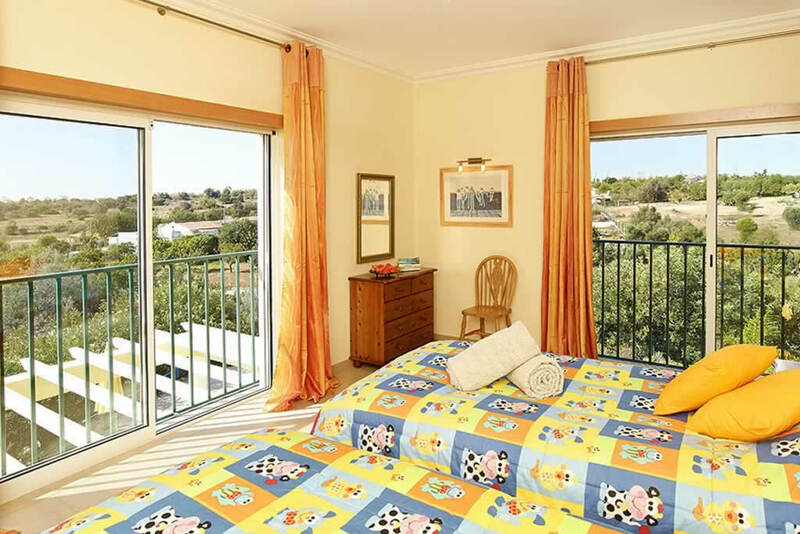 This can be heated at an extra cost of €25.00 per day for a one week stay, or €20 per day for a two week stay, to be paid to the owners during the holiday. Top quality Table Tennis table under cool shade sail. Outside lighting and pool lighting. 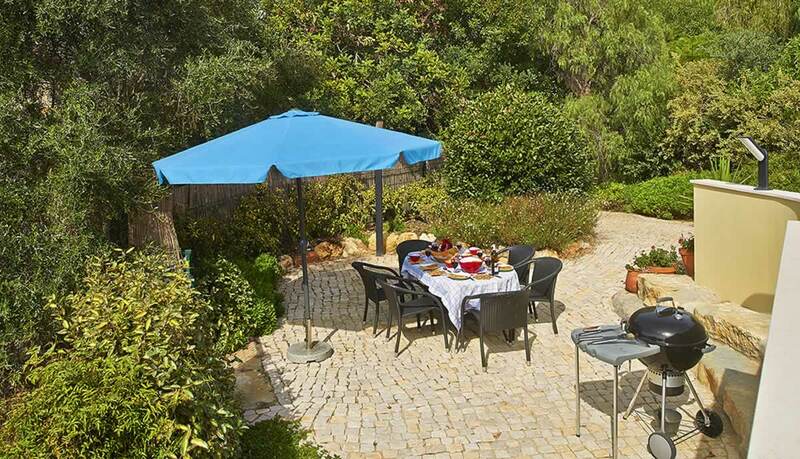 Terraces with tables, chairs, sun loungers, parasols and shade sails. Barbeque area with charcoal barbeque. 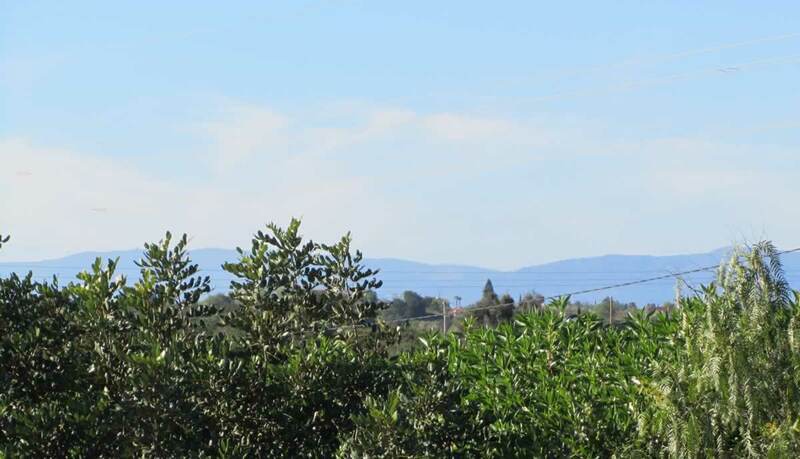 Sea views to the south and mountain views of Monchique to the north. 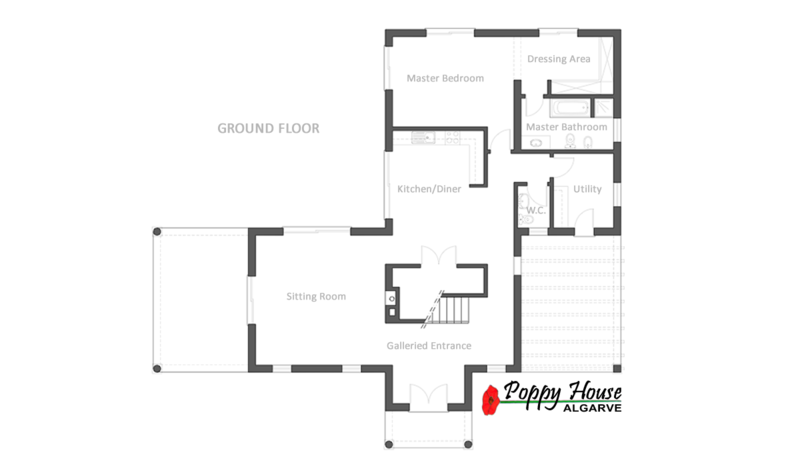 The property is located in the central coastal area of southern Portugal with easy access to all The Algarve. The nearest sandy beach of Armação de Pêra (5 minutes in the car) is one of the longest and most beautiful in the Algarve. Not just your average sandy beach, but a working fisherman´s beach that combines sand dunes and nature reserve to the east with rock formations and caves to the west. 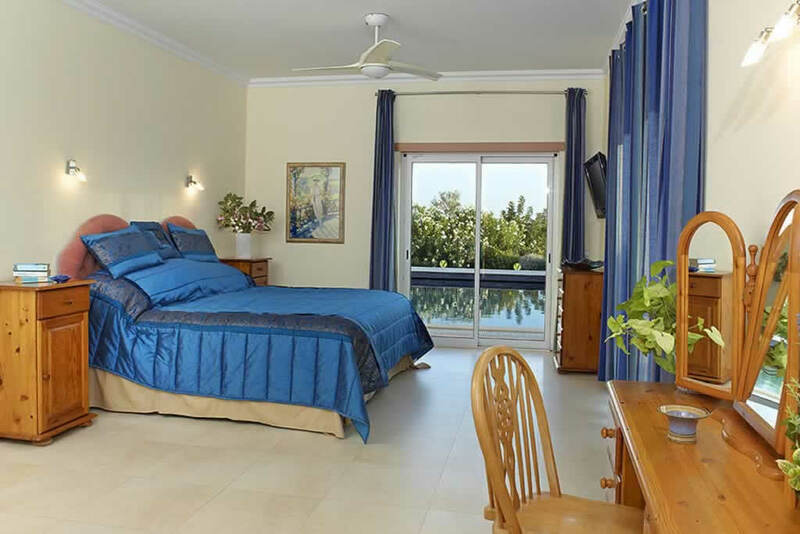 Superb sunbathing and swimming within a short stroll from the restaurants and shops on the promenade. 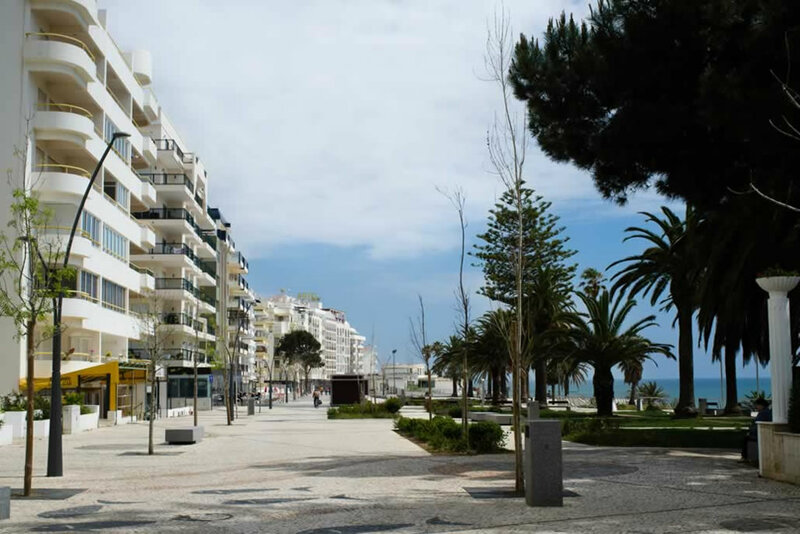 Armação de Pêra is a typical Portuguese town, with a beautiful pedestrianised promenade and shaded seating, stretching along the coast. It has a safe, calm and friendly atmosphere. 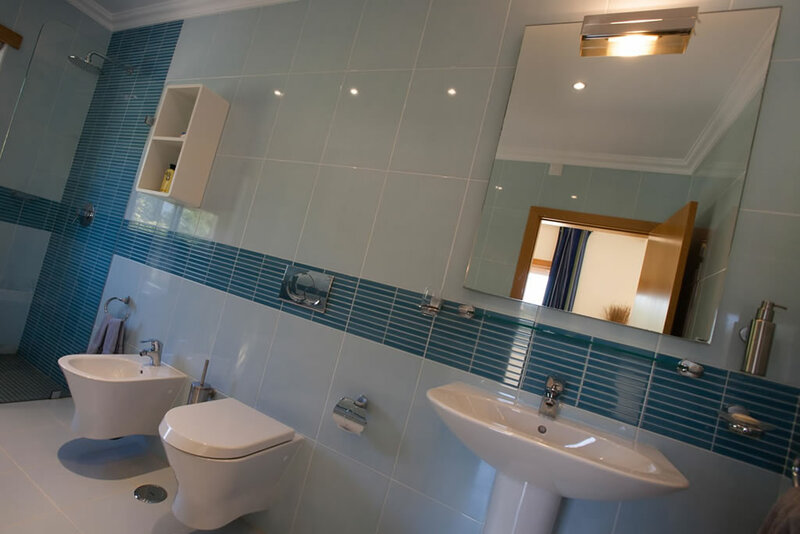 The town has the following amenities: Good choice of supermarkets, Post Office, Banks, Chemist, Newsagents, Hairdressers, Markets, Bakers, Butchers, Fishmongers, Cafes, Restaurants, Bars. 5 minute drive to Armação de Pêra town and beach. 40 minute drive to Faro Airport. 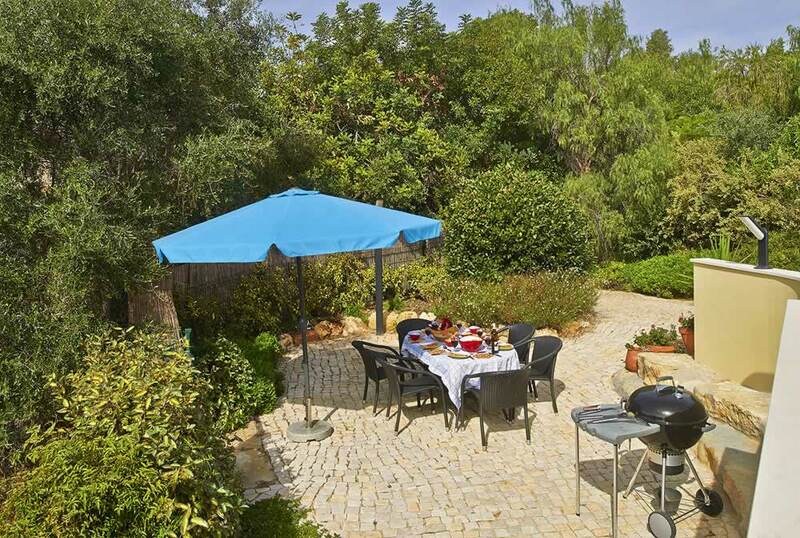 20 minutes to Silves, the Moorish capital of The Algarve. 2 hours 20 minutes to Lisbon. 1 hour drive to the rugged west coast. 55 minute drive to the most south-westerly point in Europe. 1 hour to the Spanish border. 3 hours to Seville. A hire car is recommended when staying at Poppy House. We are returning visitors to Poppy House and it never fails to please. On arrival at the villa, the first thing that catches your eye is the stunning stained glass window with beautiful poppies. 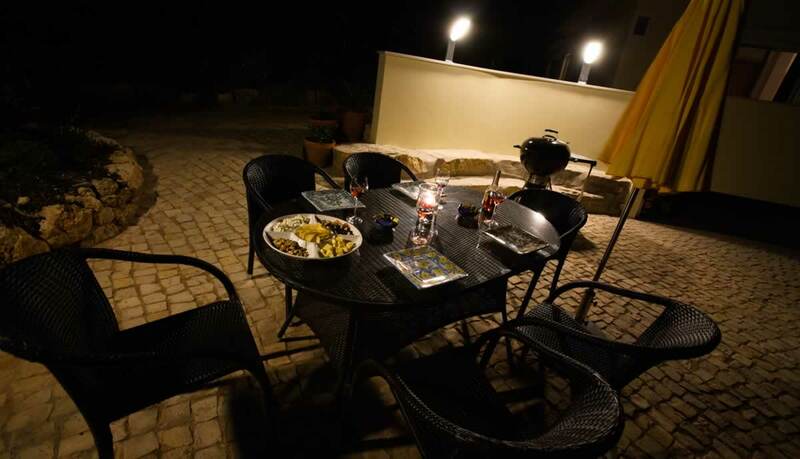 The house is accessed through its own secure entrance gate so you immediately feel at ease and very safe. 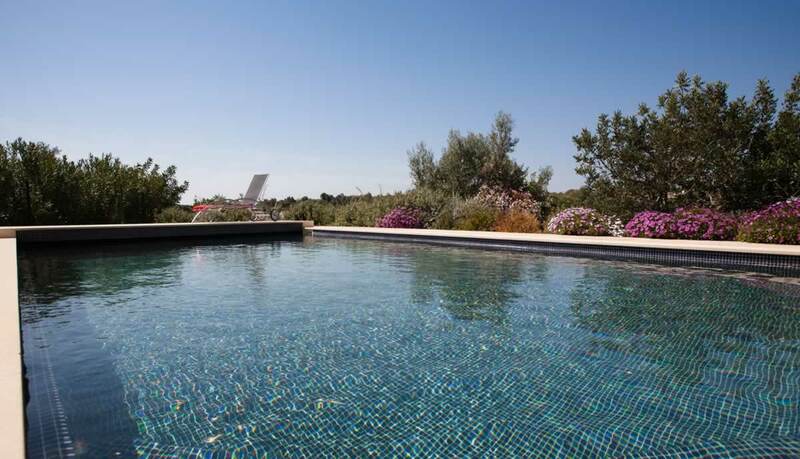 The grounds of the Villa are stunning with plenty of space for parking and the house itself has been finished to an exceptionally high standard. 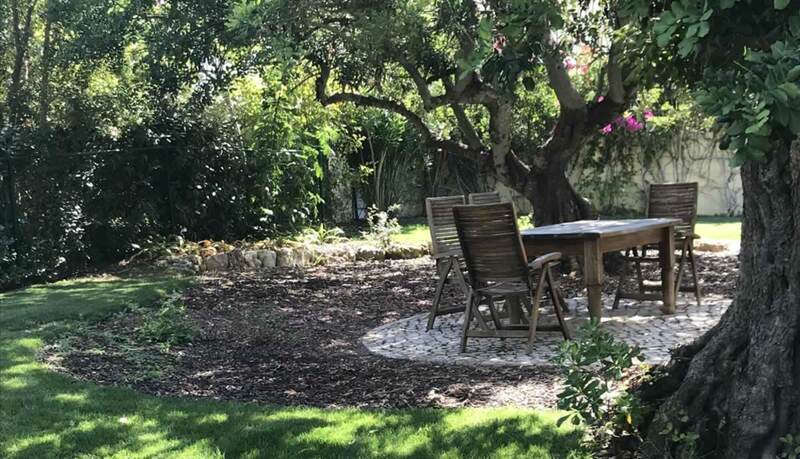 The house has everything you could possibly ask for and a very nice touch from Daphne (the owner) is that she supplies a generous stocked fridge with necessities for you to settle in straight away and have a light lunch/dinner depending on what flight time you have taken to Portugal. This is really welcoming and is very gratefully received. 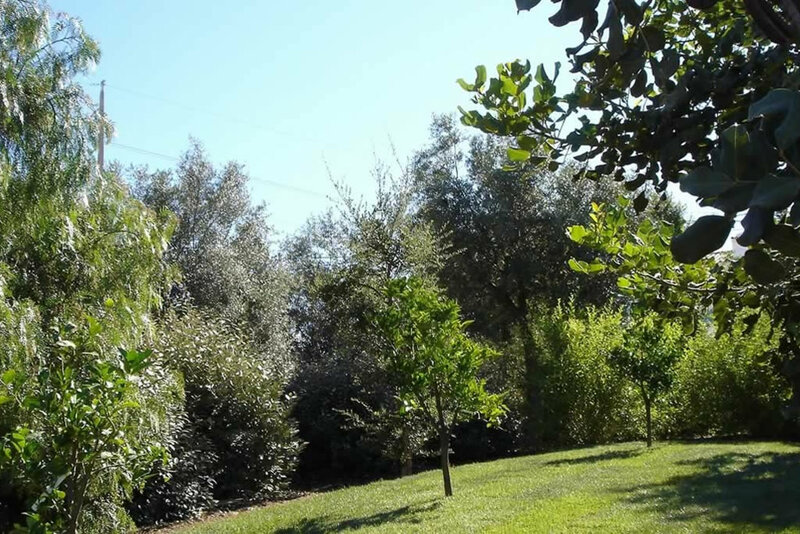 The outside grounds are very special as well - the garden is beautiful and very well kept with gorgeous flowering plants and many fruit trees. 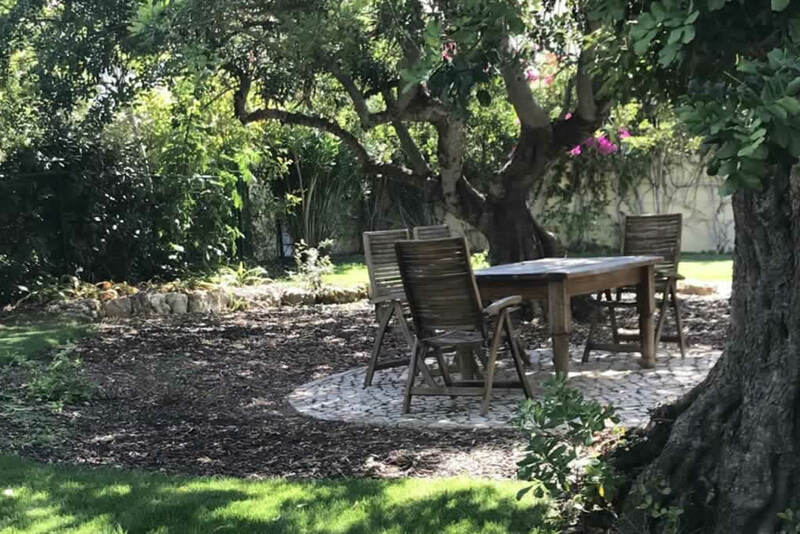 There are many different areas whereby you can sit and relax in the shade or have breakfast / lunch in a different location. There is also a separate BBQ area with another dining table. Poolside itself is well equipped with enough sun loungers for everyone and large parasols to keep you shaded. 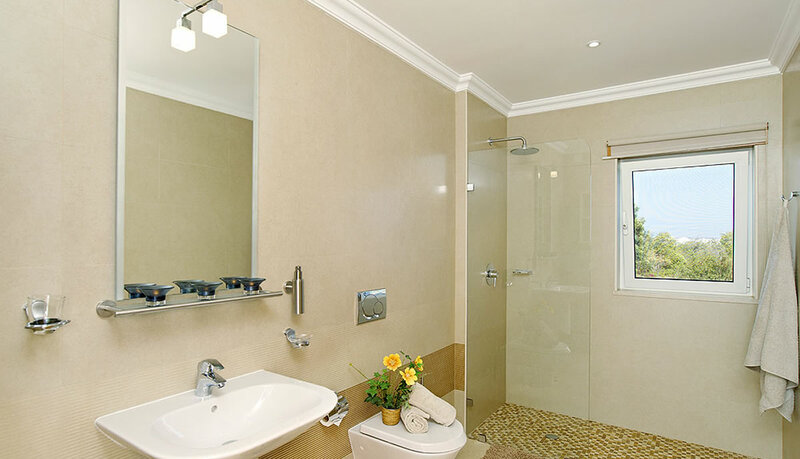 There is a poolside shower to use to keep the pool as clean as possible. 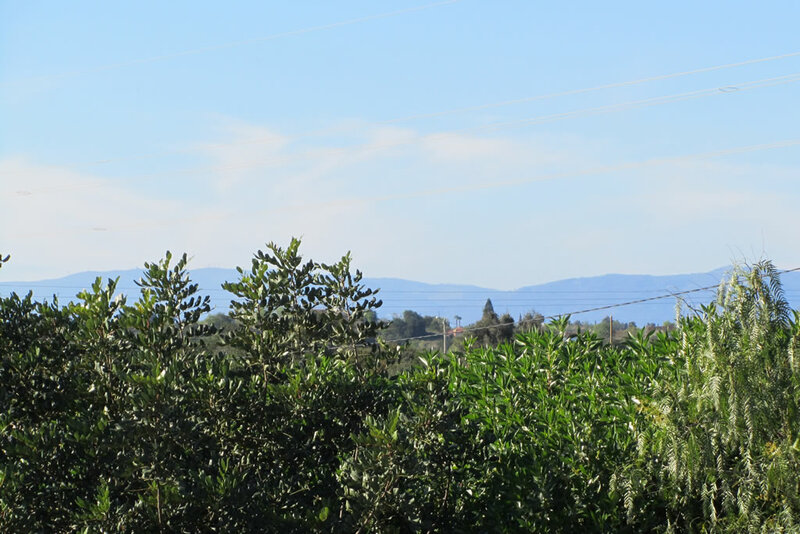 The views across the valley are very pleasant with beautiful sunsets and the whole house is very private. 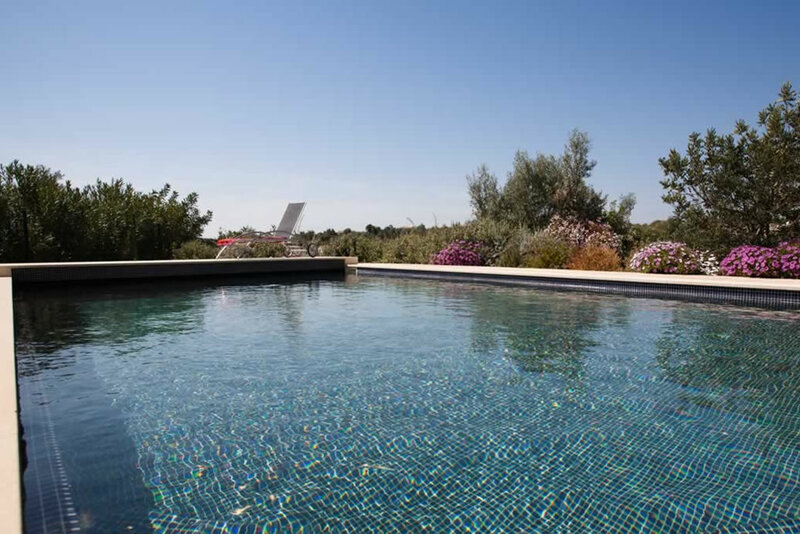 Although this review is based on my family of 3 staying here, I have stayed here with some close girlfriends and would like to go with another small family as the Villa is spacious enough to ensure that you can all have private space if needed. We are due to go back in 3 weeks and the whole family can't wait! 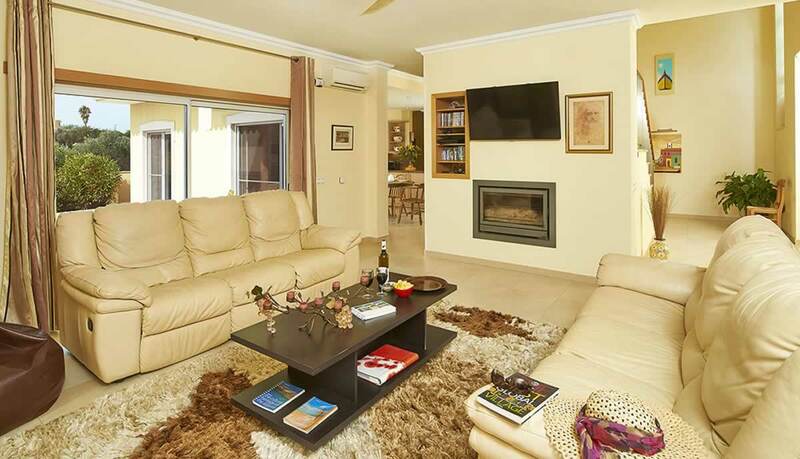 We are looking forward to more relaxing days at the Villa and exploring more in the local area. 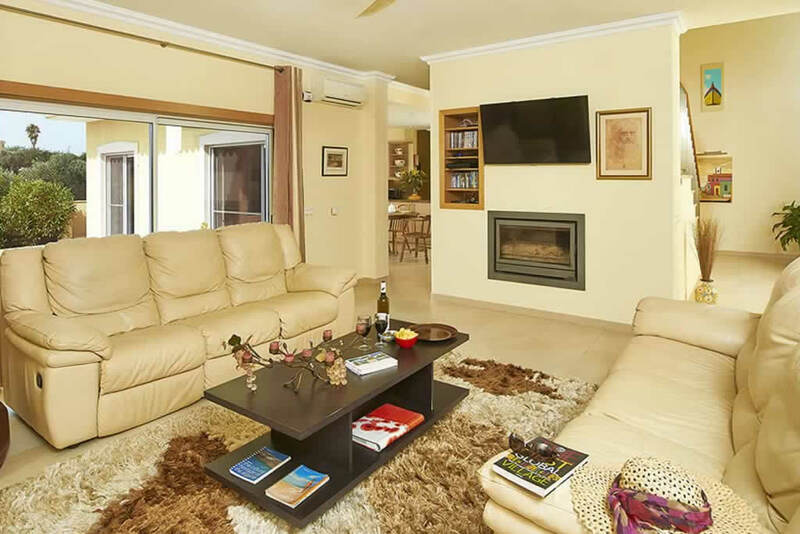 I can't recommend Vila Papoila highly enough - it is clean throughout, very safe and secure and has been finished to a very high standard. A perfect retreat! 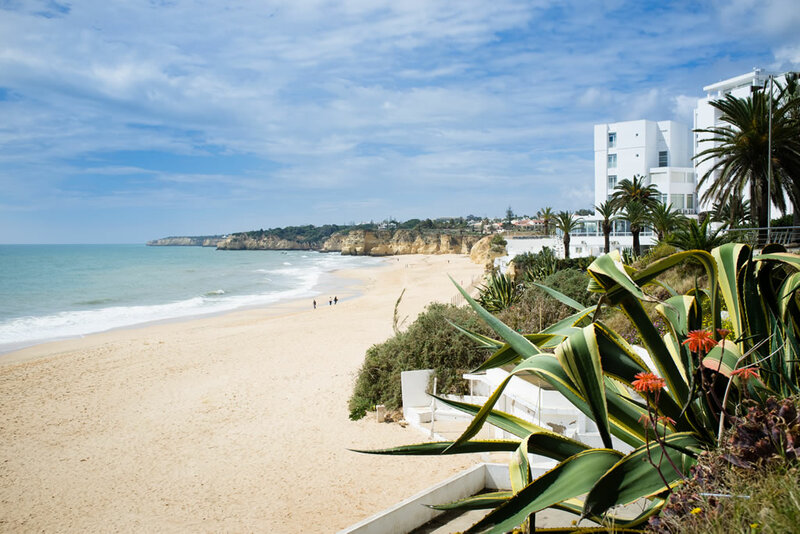 The neighbouring town of Albufeira is the nearest “hotspot”, where there is plenty of nightlife in the many clubs and bars. Another gem, with lots going on, is the nearby picturesque village of Carvoeiro. There are many pretty and traditional villages nearby. During the summer days, along the coast there are various watersports on offer locally and a trip to the caves in a local fishing boat is a “must”. 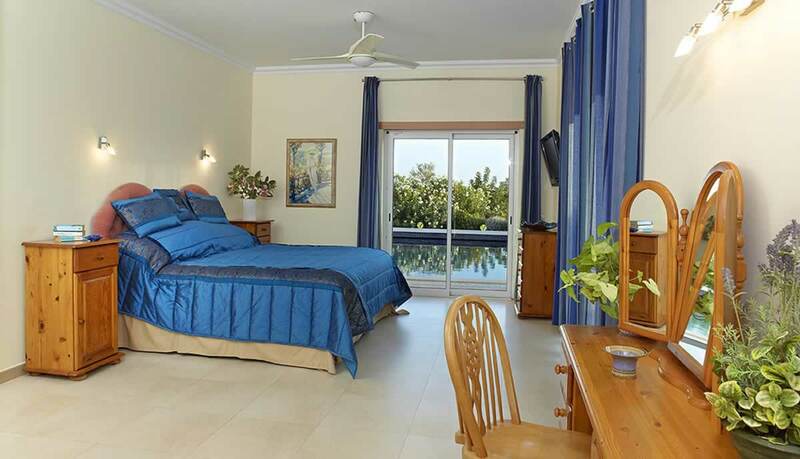 There are also many pretty harbours and marinas within an easy drive of the villa and for fun time there are two large water parks within a 7 and 20 minute drive of the villa. There is also a zoo and marine park within a 10 minute drive. Nearby is world's largest sand sculptures exhibition from May to October. 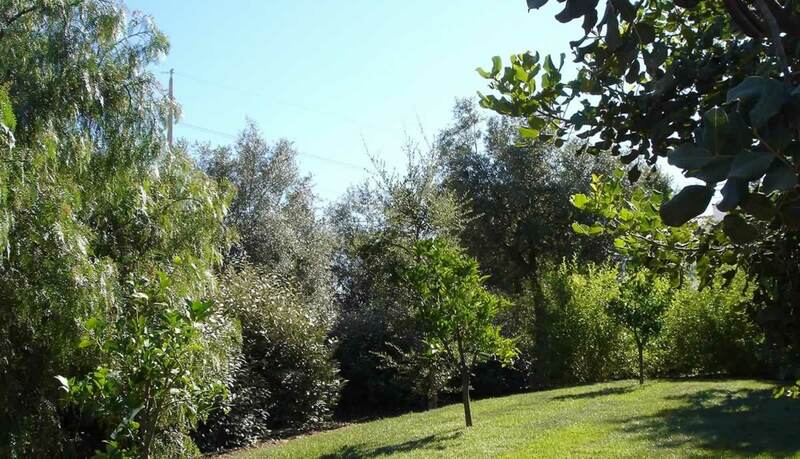 There is also a Nature Reserve within 6 minutes drive of the villa, with many species of birds all the year round. The adjoining footbridges and dunes provide interesting and easy walking, with “hides” to pause and observe the wildlife. 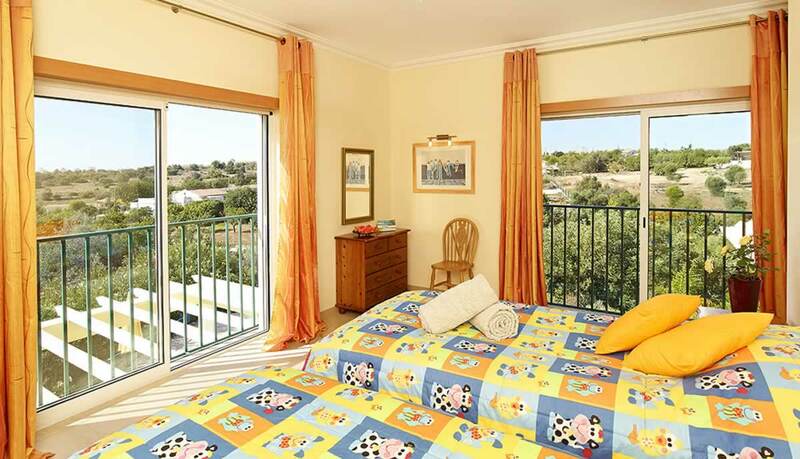 Walkers can also enjoy the unspoilt countryside in the foothills of Monchique, a picturesque 30 minute drive away. 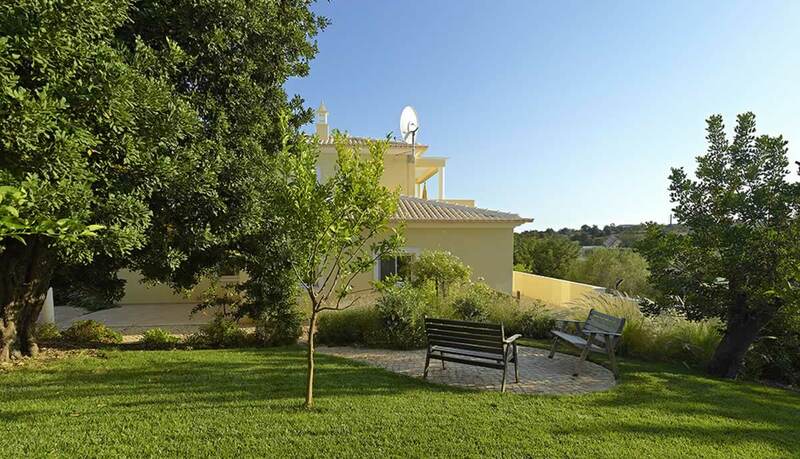 The Algarve is a dream for golfers and there are numerous excellent and varied golf courses within 8-30 minutes drive of the villa. 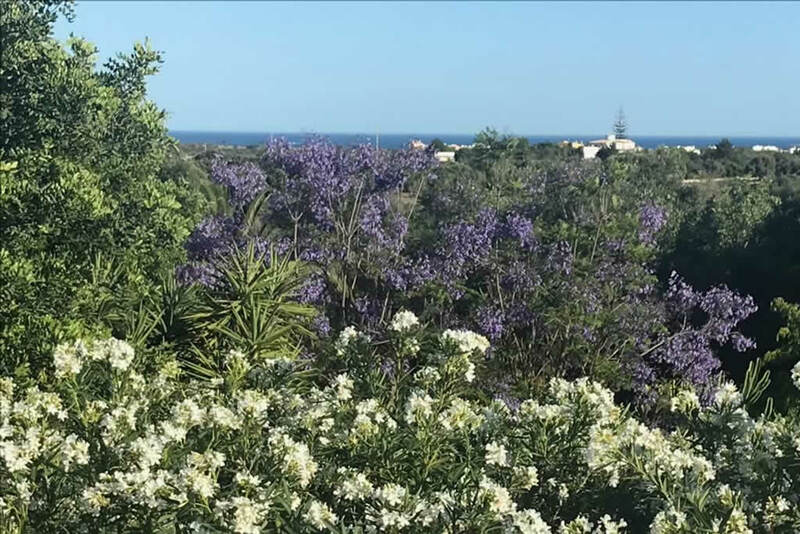 A good website to check out is: algarve-golf.net. Just 10 minutes away from the villa is a very pretty and interesting shopping arcade with a 9 cinema complex and over 100 shops to satisfy all tastes. If you prefer culture to shopping, there is much more to interest people, including the history of the area, which is fascinating. For instance, a 20 minute drive will take you to Silves, the Moorish capital of The Algarve, with its castle and archaeological remains. Travel due west to Sagres and Cape St Vincent and you will be on the most south westerly tip of Europe, where the history and legends date back to Neolithic times. So you need not just soak up the sun, but can explore and learn too. Everyone can find something to enjoy in this very special part of Southern Europe. 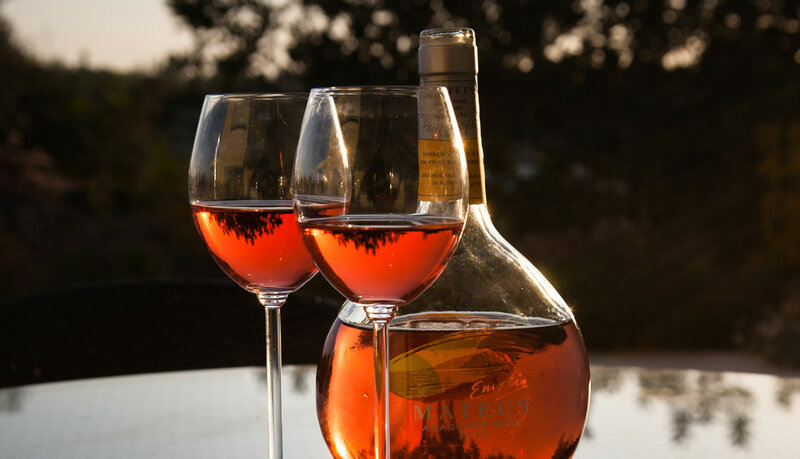 Useful websites to maximise your holiday fun! 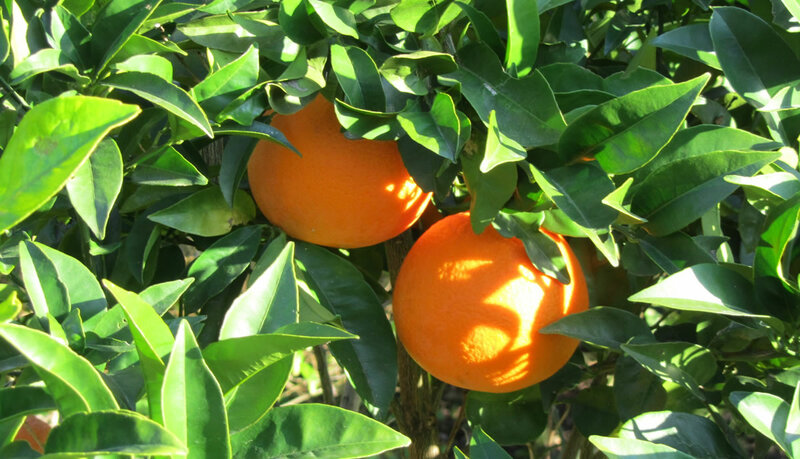 www.algarveholidayfun.com - Excellent website for fun ideas and good discounts! www.fiesa.org – The most amazing sand sculptures ever! www.zoomarine.pt - Massive fun for the family! 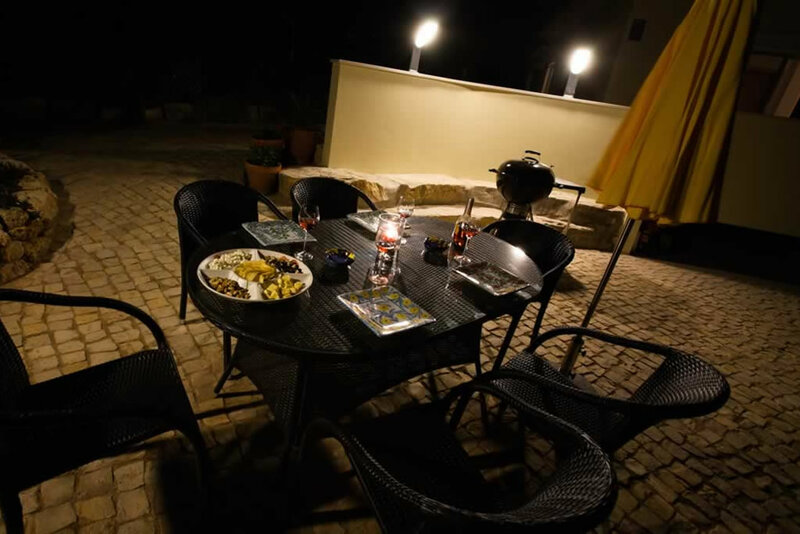 www.adventurealgarve.com – For an exciting, adventure holiday! 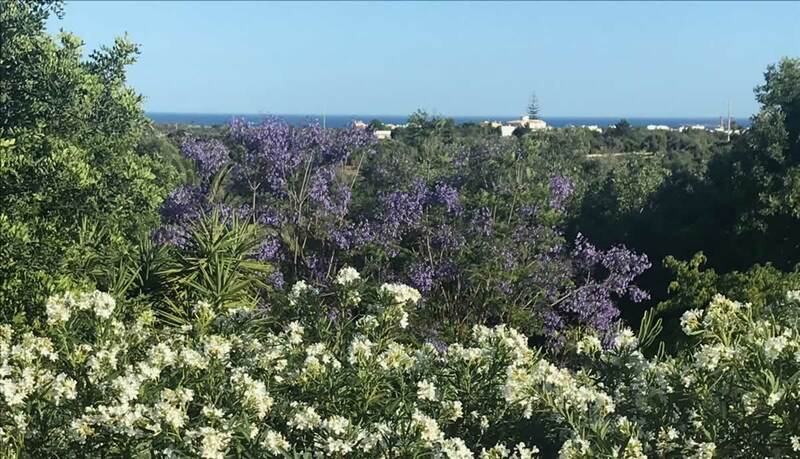 www.extremealgarve.com – Not for the faint hearted – again! 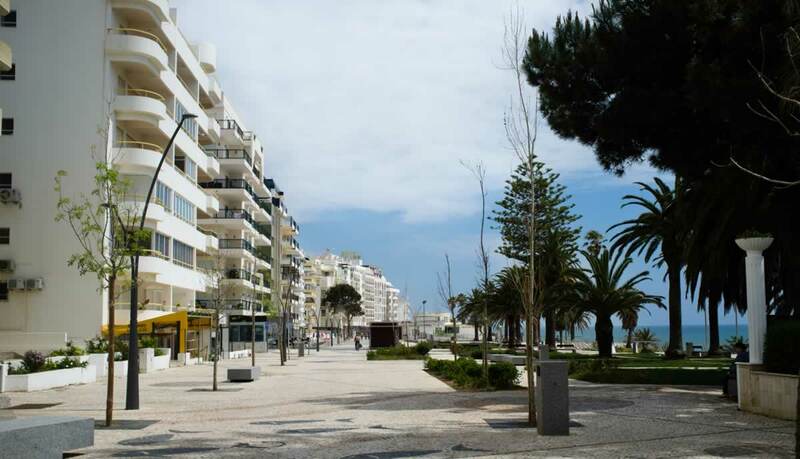 www.algarveshopping.pt - Lovely shopping centre. Worth a visit! www.porchespottery.com – Utterly fabulous pottery, hand-painted in front of you! * Prices shown are in GBP (£) and are per week. Pool heating is available upon request for an additional charge of €175 per week, paid at the time of the holiday. *NB* Bookings are from Saturday to Saturday from March until the end of October. 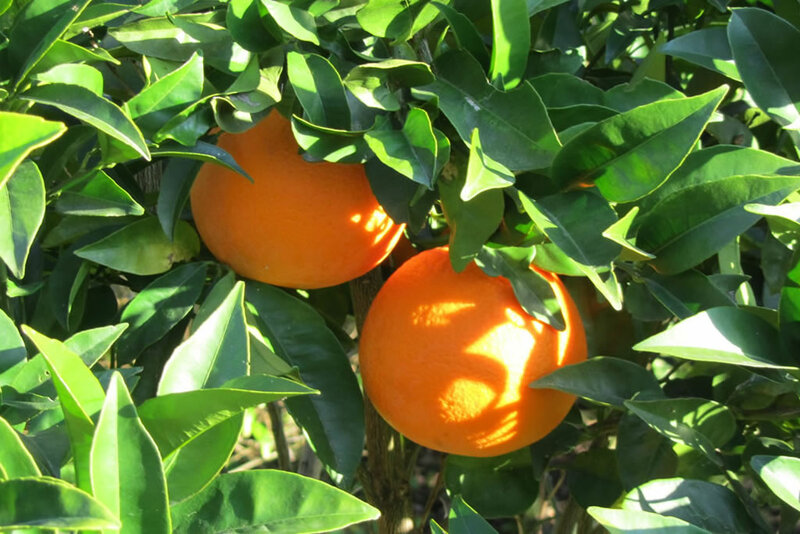 During the other months, dates can be more flexible. Thank you both so much for allowing us the use of your unique villa and pool. Wonderful! 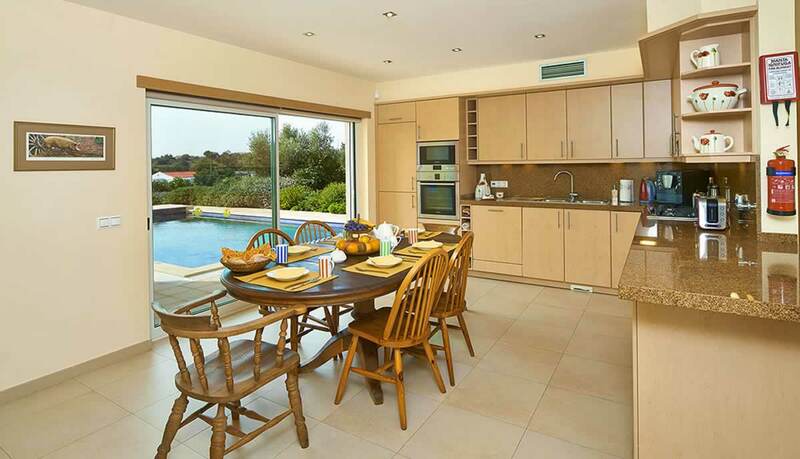 We have stayed in many villas in many countries – yours tops them all! We do hope to return later. Who would have thought that out of a casual meeting such a happy result would appear! Your many kindnesses and friendship are hugely valued.